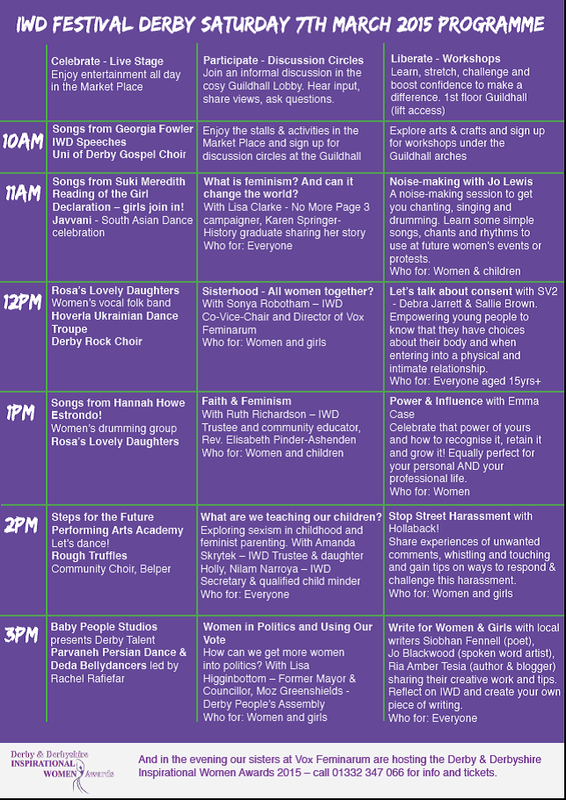 Join us in the Market Place, Derby for a free festival from 10am-4pm with live entertainment, family fun, sports, science, arts & crafts, opportunities, inspiring women and great causes to make a difference. 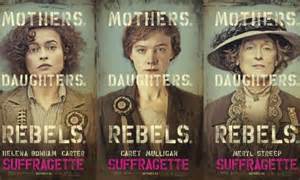 We are also sharing our IWD Derby Magazine 2015 for the festival – thank you to all the local women who kindly shared their stories of making a difference to inspire others. 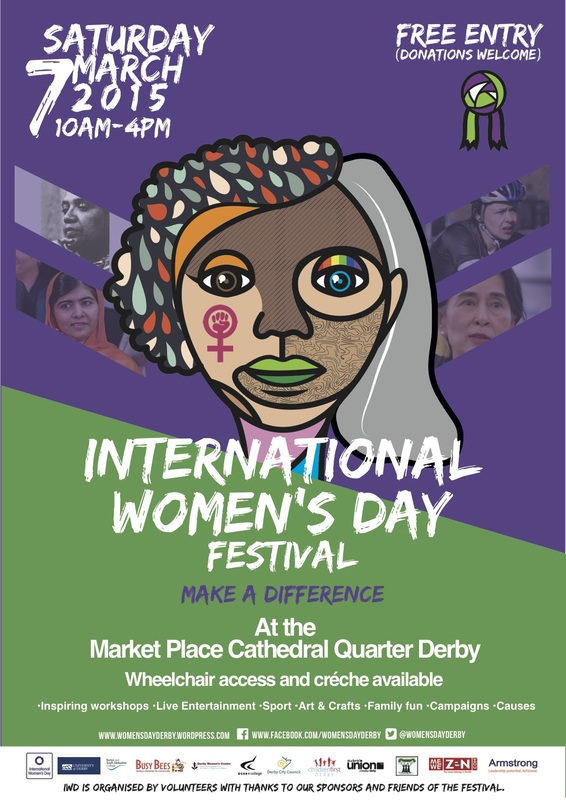 Our International Women’s Day Festival takes place on Saturday 7th March 10am-4pm in Derby’s Market Place & Guildhall and everyone is welcome – all genders, all ages, all identities together. We would like to thank our sponsors and friends of the festival who have supported the group of volunteers who organise this special event – by the community for the community, and thanks to the graphic design students at Burton & South Derbyshire College who designed our poster below – please share it and spread the word!